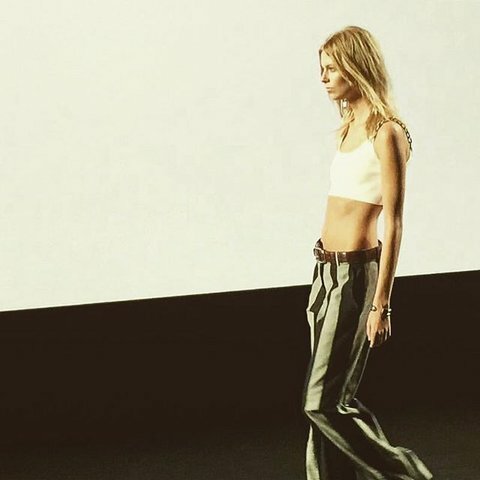 NYFW is done – everybody exhale. reversecommuter’s personal faves include Jonathan Simkhai’s shards of glass dresses, Victoria Beckham’s stripes, Proenza Schouler’s fringe (MAJOROMG!!!! ), Calvin Klein’s minimalist gorgeousness all round, and Marc Jacob’s pink house set and those amazing hobo bags. Onward to London! Guccio Gucci (great-grandson of The Original Guccio Gucci, who founded Gucci) is under house arrest after being found guilty of fraudulent bankruptcy. Guccio no longer works for the family firm (he left in 1989). Rather he attempted to launch his own line of handbags, which didn’t work and he filed bankruptcy…and apparently syphoned the assets in an attempt to save a little money. Not so buono Guccio. Enjoy the last remnants of summer this weekend. Champs o’clock!